The stage was set. Parents, grandparents and siblings lined the field. The air buzzed with anticipation. Full Speed had made it to the big dance. 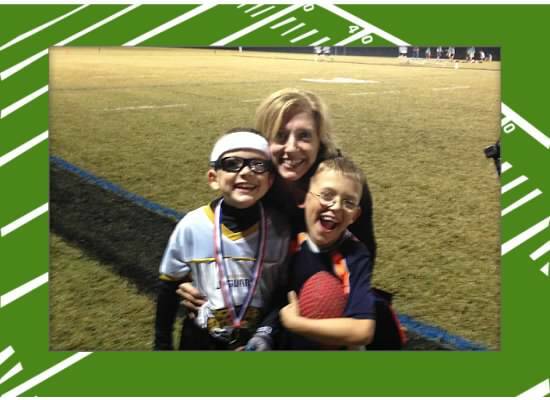 His remarkable flag football team was in the championship game. I was nervous because I was first and foremost awake, and I was nervous because I had a feeling the other team thought they would beat us with ease. A parent from the opposition casually mentioned they had won last night’s play-off 38-8. He said it with such cool confidence that it seemed the final score was all the statement needed. We knew enough about this team to know they had two rainmakers. What they didn’t know is that we had the lightning quick hands of defense that could make the rain stop. And, stop them we did. Since our defense was on fire, it allowed our offense to kick it into high gear. Full Speed ran the ball again and again setting us up for awesome field position. The opposition then became so focused on his running that they couldn’t handle the deep bombs that our QB kept launching. This is where Full Speed’s team was a cut above the rest. We had an actual receiver that could catch these deep bombs. This is quite rare in a U10 league and is what marched us into a 26-18 victory.